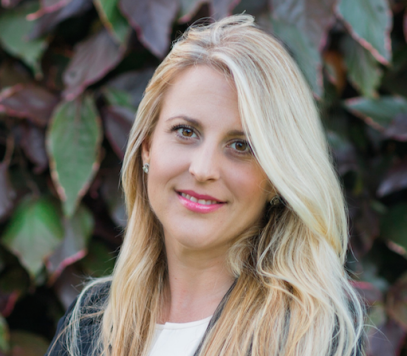 When you’re moving through illness, no matter what your prognosis is, you and your loved ones and caregivers can benefit from hypnosis and Neuro-Linguistic Programming (NLP). 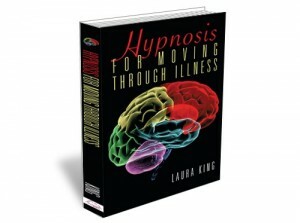 Laura King’s new book and product series, Hypnosis for Moving Through Illness can show you how. Hypnosis for Moving Through Illness, book, takes you through the seven main areas of concern for those who are ill: managing fear, maximizing treatment potential, dealing with emotions, bolstering the immune system, optimizing sleep, managing pain, and preparing for surgery. Hypnosis has been demonstrated effective in decreasing pain, reducing complications from surgery, lowering the amount of anesthesia needed, eliminating fear and anxiety, and improving the quality sleep. Furthermore, hypnosis can heal your mind’s relationship to your prognosis and help you feel peace and comfort. It can help you concentrate on important matters such as getting your affairs and close relationships in order. It can help put you in a space where you can resolve what had been left unresolved, and in a positive and loving way. Your body might not be in a position to heal, but you can gain physical, mental and emotional comfort with the use of hypnosis. And your loved ones and caregivers can benefit, as well. Hypnosis for Moving Through Illness includes “gifts” for those who lovingly surround you, to support them through care giving and guide them through their grieving. If you are experiencing a major illness or you know someone who is, this book and product series is vital to their journey, no matter what their prognosis, no matter what their destination. Click here from more information or to purchase these products.